A VEX Robotics essential, a hacksaw is important for cutting parts to size. 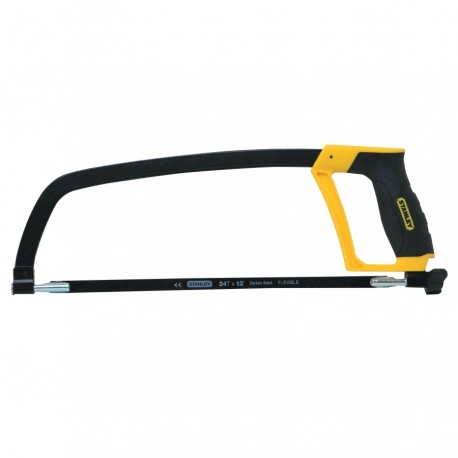 This Stanley brand hacksaw combines high quality and durability with an affordable price. Robust metal frame with ergonomic rubber grip handle and large, easy-to-adjust tension knob. Allows flexibility for flush cutting at 90° or 180° blade angles. For cutting VEX metal, a 24 Tooth Per Inch (TPI), 12" long blade is best. This saw includes one such blade. Always ensure your part is securely clamped before cutting. Wear safety glasses, and follow all general and manufacturer safety precautions.